"I believe the American people are entitled to a more thorough explanation than has been given them by the Air Force....I think we owe it to the people to establish credibility regarding UFOs, and to produce the greatest possible enlightenment of the subject." Preliminary examination of the debris at the first crash site by Major Jesse A. Marcel, and later by other personnel at Roswell AAF on receiving the materials, concluded the object was not a weather balloon or any known man-made flying object. To support this claim, Colonel William Blanchard, the commander of Roswell AAF, ordered his public information officer Second Lieutenant Walter Haut to issue a news release stating a "flying disc" was recovered and sent to higher headquarters. Suddenly, within two hours of the news release, General Roger Ramey at Fort Worth AAF issued a new story to the media claiming it was a weather balloon. To support the new claim, General Ramey permitted a news reporter, James Bond Johnson, to take several photographs of the remains of a weather balloon put on temporary display in his office. In those photographs reveal a bright-silvery and heavily crinkled metallic foil together with some beams and plastic tape. Later the bright silvery and highly crinkly weather balloon and the original smooth and slightly curved pieces of the dark-grey shape-memory foil and other original materials were sent to Wright-Patterson AFB in Ohio for scientific analysis. To this day, the public has not been told of the outcome of that scientific analysis, including what the differences are between the dark-grey shape-memory foil of the original Roswell debris and the highly crinkly and bright-silvery aluminium foil of the weather balloon. We must simply rely on the word of General Ramey that it was a weather balloon and nothing else. However, on examining one of the photographs taken by Mr Johnson, we see General Ramey had inadvertently held a top secret memo to the camera in one of the photos. Digital analysis of the photograph showed a continued belief by the military in a "disk" with "victims" and a desire to use a weather balloon and dummies at the very end of the memo as an alternative explanation should media representatives ask questions about the Roswell incident. The presence of "victims" (allegedly recovered not far from the initial wreckage site) is significant since the original news release never mentioned the existence of "victims". Does this mean there were bodies? If so, who died? And, how come we still do not know the names of these victims? And why maintain the description for the object found on the desert floor as a "disk" in the secret memo? If the USAF is trying to claim the weather balloon was shaped like a disk, the photographs from Mr Johnson do not in any way determine the shape of the object. Even the example later shown of the USAF's preferred weather balloon to explain the incident looks nothing like a "disk". And not even the quantity of the foil shown in General Ramey's office would account for the amount of wreckage found on the rancher's property. So what exactly is going on? Just to add to the mystery, a document allegedly written by General Nathan F. Twining, dated July 15, 1937, discussed unusual fabrication techniques and the internal structure of a flying disk allegedly recovered in New Mexico. The information is so unusually detailed for a flying disk that it revealed a hitherto unknown electromagnetic technology. Then we have a retired high-ranking USAF General who stated to investigators that the dark-grey alloy probably contained titanium. Was the foil a metal? Owing to the foil's plastic-like property of returning to its original shape, the less-educated civilian witnesses had great difficulties in how to describe the foil they saw. Should they call it a plastic? Or was it really a metal? Because of the risk of being wrong in describing precisely what the foil was, civilian witnesses are more inclined to use the terms "metallic" or "metal-like" to describe the color of the foil, because this is the thing they can be definite about. However, the military witnesses  the ones who had more time to look more closely and to test the foil and be trained to understand differences between metals and plastics  are much more certain the foil was a “metal”. ...But something that is more astounding is that the piece of metal that we brought back was so thin, just like the tinfoil in a pack of cigarette paper. I didn't pay too much attention to that at first, until one of the GIs came to me and said, "You know the metal that was in there? I tried to bend that stuff and it won't bend. I even tried it with a sledge hammer. You can't make a dent on it." We collected a boxful of samples of this material. As I recall, there were some metal samples here, too, of that same sort of thin foil stuff. A call came in to have a B-29 ready to go as soon as possible....Blanchard waved to somebody, and approximately five people came in the front door, down the hallway, and onto the ramp to climb into the airplane, carrying parts of the crashed flying saucer. I got a very short glimpse, asked Blanchard to turn sideways so [I] could see too. Saw them carrying pieces of metal. They had one piece that was eighteen by twenty-four inches, brushed stainless steel in color. Afterwards we got to talking a little bit more about it and he said he’d been out there helping clean this up. He didn’t think taking a little piece like that would matter. It was just a little piece of metal or foil or whatever it was. Just small enough to be slipped into a pocket. I think he just picked it up for a souvenir. It was foil-like, but it was stiffer than foil that we have now. In fact, being a sheet metal man, it kind of intrigued me, being that you could crumple it and it would flatten back out again without any wrinkles showing up in it. "Cut it. Trying cutting it. ...I got my scissors out and I snipped at it., and you know there was no way I could even cut that piece of metal. And it was as light as a feather....I ve never seen [anything like it since]. I always look at things, metal things and I still have that curiosity, because it still bothers me and I have yet to see anything that would have those properties and looks like that. And so light! Sort of a curve. ...it was practically indestructible. I even took the edge of the scissors and laid it on ... like this, and I whacked it like this, and I couldn t even make a dent in it. Just nothing. Cause he said tear it up, so I tried every thing I could to tear it up, and I couldn t tear it up. I couldn t make a dent in it; I couldn t make a mark on it." "I gave it a good, thorough looking-at and decided it was an alloy we are not familiar with. Gray, lustrous metal resembling aluminum, lighter in weight and much stiffer. [We couldn't] bend it. Edges sharp and jagged." There are plenty more examples of quotes from original military witnesses who support this idea of a metal in the foil. Combine this with the testing done by military personnel at the Roswell Army Air Field using a blow torch and this “metal” view must be seen as the most likely substance making up the foil. Then SUNRISE focused on the dark-grey foil in the early 1990s and it is here where new evidence has been uncovered that casts serious doubt over the official "aluminium" and "weather balloon" explanation as provided by the USAF. According to the SUNRISE study, an inspection of scientific literature and discussions about shape-memory alloys has revealed the only known naturally dark-grey titanium-based shape-memory alloy, and the most powerful and lightest titanium-based shape-memory alloy of its kind. While other shape memory alloys have been discovered by scientists, the study of shape-memory alloys never officially began until after 1958. However, the world's most powerful shape-memory alloy known as nitinol (NiTi), a nickel-titanium alloy, has been the subject of unexpected and rather secret study just after 1947 by Wright-Patterson AFB (the place where the Roswell materials ended up for analysis) and required outside scientific assistance from the Battelle Memorial Institute in Ohio to commence study of the alloy. Furthermore, the USAF wanted to come up with ways to produce highly pure titanium-based alloys, gather hardness data on NiTi, as well as mask the secret work on this dark-greyish titanium-based shape-memory alloy in amongst other titanium-based alloy work by claiming NiTi is not really that important in a number of progress reports discussing this titanium alloy work. Most telling is the fact that all work into titanium alloys began on May 18, 1948. But, for some reason, not sooner. Now SUNRISE can understand why. 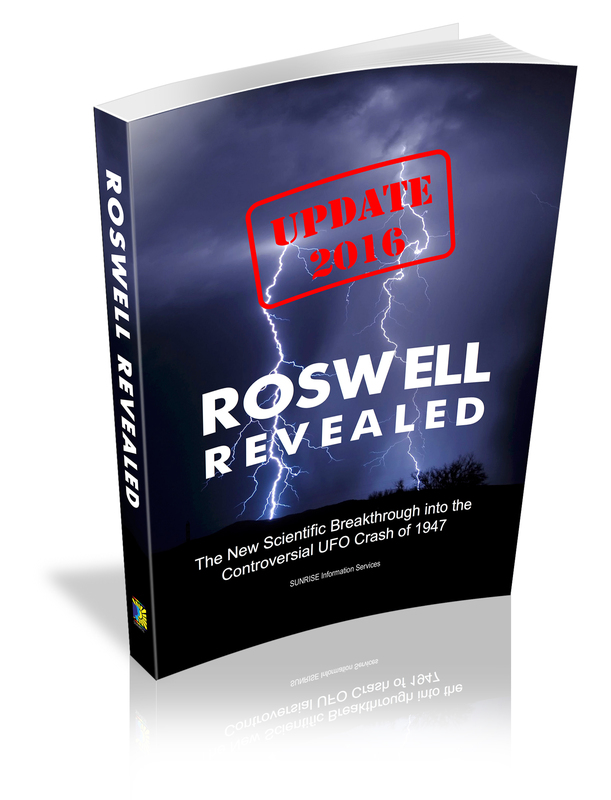 The book that first began this research work into the link between NiTi, the Roswell foil and Wright-Patterson AFB has now been revised and expanded. It contains startling new information that will get people to seriously question the USAF position on the matter. Is the USAF telling the truth about what it found in New Mexico in early July 1947? Why is the USAF continuing to maintain secrecy over the crash? And what was it that really crashed all those many years ago? This latest book is the closest anyone will ever get to understanding what it is the USAF has kept for so long, short of a full confession from the military. To purchase NiTi (either the preferable sheet form, or as a wire, spring, or some other shape) as part of your research (whether to test our claims or to see the shape-memory effect in action for yourself), purchase it only from reputable NiTi manufacturers that have the right equipment to produce extremely pure alloy samples. In the United States, the consumer version of NiTi sold online will be limited to 99.5 per cent purity, which means you will never see a shape-memory effect. Furthermore, the manufacturers/sellers will often annodize or put an oxide on the surface to hide the true colour of NiTi (it should look like "dirty stainless steel" or dark grey but still reflect light). Thus the sample will come to you as very dark grey (almost black) and with no obvious way of determining it is a metal (you could mistaken it for a plastic unless you examine it very closely). These less reputable manufacturer will advertise the samples they sell (at a high price) as "shape-memory" to entice people to buy them, but they are not. Yes, NiTi is a shape-memory alloy, but only if the purity is a minimum of 99.995 per cent. Otherwise, you are only getting an over-priced and highly impure NiTi sample that will never show the shape-memory effect. Any seller who makes the claim these impure NiTi alloys is a shape-memory alloy at 99.5 per cent purity are classified under the Trade Practices Act as false advertising, and you should immediately seek a refund if you have purchased a product of this poor quality. The above observations are based on testing we have conducted on two products purchased in August 2016 from a U.S. manufacturer (the name can be provided on request) specialising in selling nitinol products. One was marked as "Air Temperature" and the other as "Superelastic". The former is rated as allegedly activating the shape-memory response at 15°C, and the latter at 5°C. Both had dimensions of 0.5mm in thickness, 10cm in length and 1.5cm in width. However, on cooling both samples in a freezer overnight to well below 0°C, none of the samples we saw will bend to allow different shapes to be created and be maintained on removal of the induced strain. Please remember, a proper and highly pure sample of NiTi in the low-temperature state (below the transformation temperature) for a freshly-made sample of nitinol straight out of the oven or activated within the superelastic temperature range should allow you to bend it by up to 180° or more with a minimum bend radius of 5mm or less (these figures depend on length, thickness, purity and temperature). As soon as you let go (and heat the alloy for a composition that is outside the non-superelastic range), the alloy should immediately return to its original shape with great speed and force. Otherwise, it will retain the deformation in the low-temperature state for the standard shape-memory phase. If it doesn't (i.e., it can't be easily distorted in the low-temperature phase, and spring back into the original shape in the high-temperature or superelastic phase), send the sample back for a refund. Here is a Chat Live Record from the manufacturer we spoke to to help show just how poor the nitinol samples are being manufactured and delivered to consumers and other researchers in the United States and internationally. 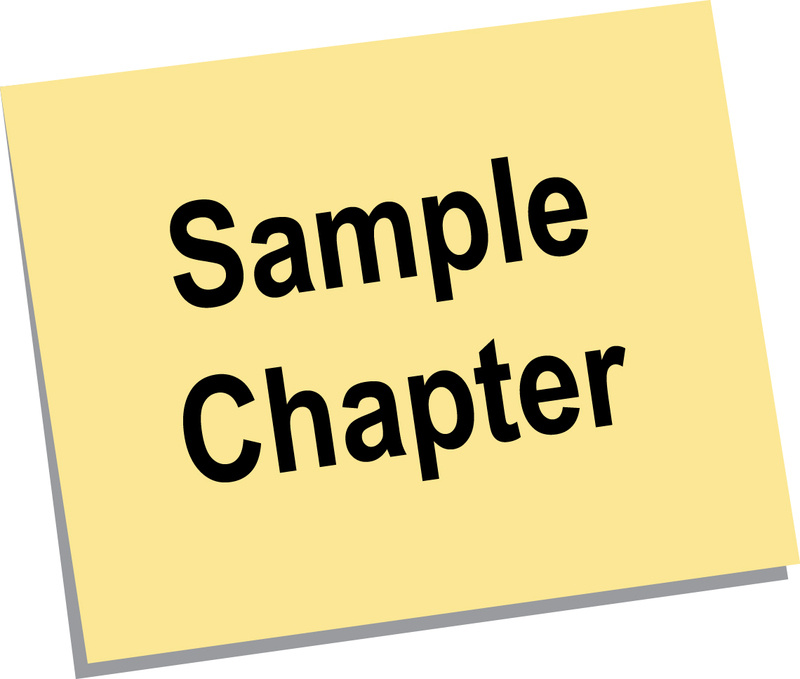 Your only best bet is to always request an NiTi sample made with a minimum of 99.995 or greater purity. For a reputable U.S. company with the equipment to manufacture this level of purity in nitinol and of the superelastic form at room temperature, try Johnson Matthey Medical Components. An example of the cost to purchase a quality superelastic NiTi sheet is available here. From other NiTi manufacturers, ask for a sample to be made in a tracing paper thin form of 10cm x 10cm and a shape-memory temperature activation of 10°C in the superelastic composition range (between 50.6 and 51.0 atomic% nickel) to get the best effect and the closest to how the original Roswell foil appeared to the witnesses. Berlitz & Moore 1988, p.72; Berlitz & Moore 1982, pp.68-69. Berlitz & Moore 1988, p.88. Other sources to confirm this memory-shape behaviour may be found in Good 1997, pp 456, 461 and 463; Friedman & Berliner 1992, p.73. Also check the statements made by Ms Sally Strickland-Tadolini and Sargeant Robert E. Smith for further confirmation. More quotes and their full references can be found in the book. The term 'dirty stainless steel' was mentioned by L. W. "Vern" Maltais and his wife Jean Swedmark Maltais as the words used by their close friend the late Barney Barnett, the man who allegedly saw a large dark-greyish metallic disk-shaped object with unusual bodies in the Socorro region on the morning after the odd explosion on a local ranch near Roswell according to Berlitz & Moore 1988, pp.60-61. Walt Whitmore, Jr., son of the Roswell radio station KGFL owner, also described the colour of the metallic foil brought into Roswell by a local rancher as lead foil as shown on page 73 of Friedman & Berliner 1992 book, Crash at Corona: "[It was] very much like lead foil in appearance but could not be torn or cut at all...extremely light in weight..."
Good 1997, pp.462-462 and 480-482.